These mammoth photo strips are the largest of our collection! 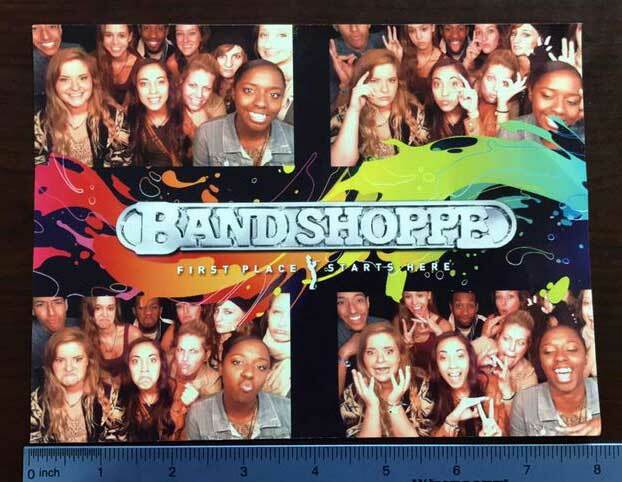 Our photo booths use specialized photo strip paper to print these monumental photo strips! At 6”x8”, these photo strips are perfect for getting your name out there, and will impress your guests! They are perfect for publicizing your organization and company. We’ll design the page to your specifications, including background designs, fonts, logos, and photo placement. Our 6”x8” designs are ready to be framed and displayed, leaving your guests with a great keepsake from your celebration! Like all of our photo booth rental packages, the 6”x8” photo strip add-on comes with unlimited prints throughout your photo booth rental, so everyone in every picture can take home a copy!